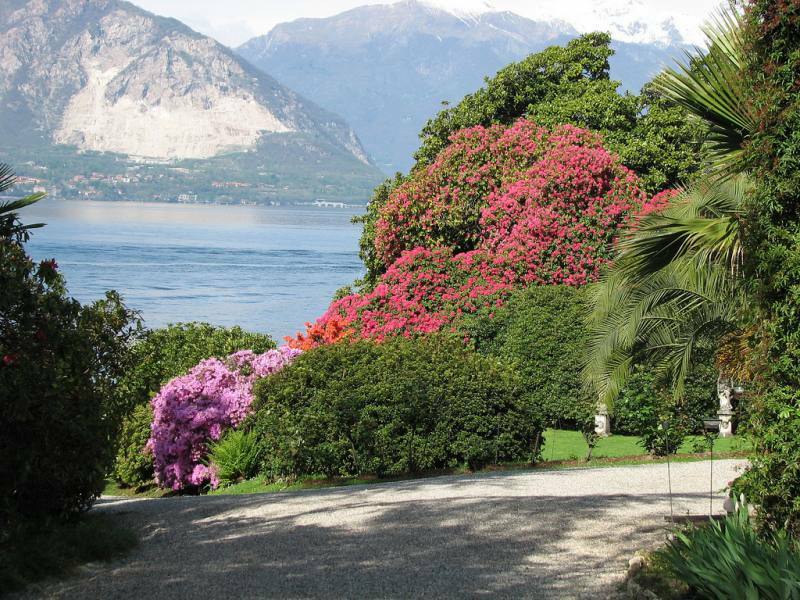 Villa Rusconi-Clerici is in Verbania Pallanza, on the shores of Lake Maggiore, and is surrounded by an old Romantic garden full of rare, precious essences and exceptional examples of magnolias, creepers and camphors. Visitors are immediately surprised by the solemnity of the building (a few years ahead of the Liberty style), which is highlighted by a majestic flight of serpentine marble steps with a wooden and wrought-iron parapet. The original park was embellished with a charming winter rock garden, an orangery and a large dock for boats, which is still frequented today by many kingfishers. Azaleas, rhododendrons and rather rare camellias were brought in from nearby nursery Rovelli, which was also frequented by Queen Margaret of Savoy. The location of today’s villa was once the site of villino Bozzotti, which István Türr chose as a home for himself and his wife, Princess Adeline, the niece of Napoleon Bonaparte. Türr was a Hungarian patriot and vice-commander in Garibaldi’s Expedition of the Thousand, and came up with the idea of cutting the Isthmus of Corinth and the Panama Canal. It’s charming to think that this couple planted the gigantic magnolia whose branches still protrude towards the lake, and that they were responsible for planting the first camellias and rhododendrons. We know for certain that the building lived in by Türr was demolished at the end of the 19th century to make way for a more majestic home, embellished with rich neo-baroque decorations and characterised by high custom-made ceilings for the new owner Ferdinando Biffi and for his son (both were rather tall and exceeded 2 m in height). The project, interior organisation and formal details were left to architect Giovanni Giachi from Milan, while mistress of the house Cristina Biffi Pirinoli, amateur artist with an excellent academic preparation, decorated some of the halls in the villa with lake-related subjects, thus refining the austere panelled ceilings and Neo-Gothic furnishings. 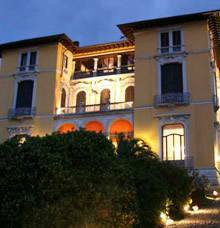 The villa was the place of many celebrations during those years - especially weddings, ceremonies and parties. 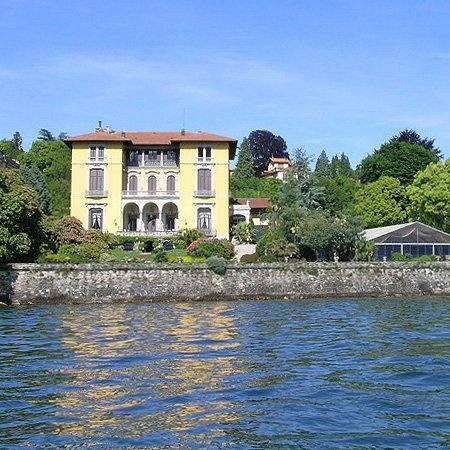 Its halls were meeting places for famous artists, soldiers the likes of General Cadorna and Commander Rizzo from the Bakar mockery, aristocratic families on the lake (Pallavicino, Manca of Villahermosa, Amman, Melzi of Eril, Branca of Romanico, Browne Casanova) and the families from the rising industrial middle class. 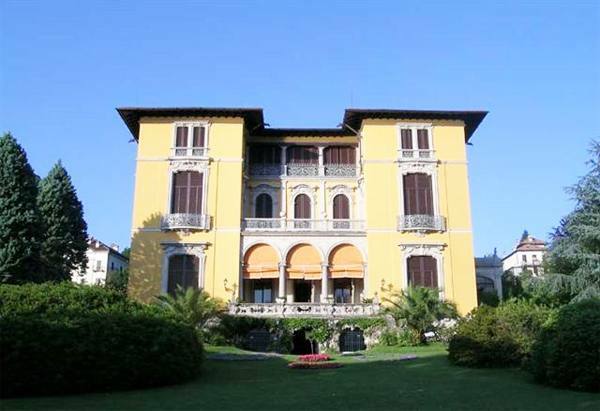 After 50 years, the house was transferred from the Biffi family to the counts Rusconi-Clerici whose great sensitivity preserved and increased the charm of the residence and the garden, through loving care and constant commitment. The villa still resonates with the laughter of festive guests invited to weddings or gala dinners. However, it’s not unusual to meet scholars or simple botany enthusiasts touring the rich halls or cellars, which have been skilfully renovated. 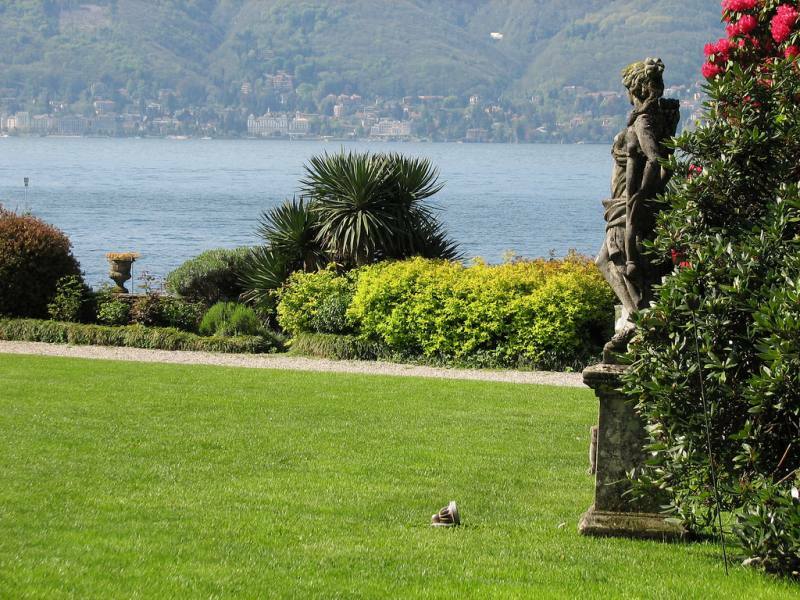 The ability to know how to transform every event or ceremony into a success combined with this place’s beauty have allowed Villa Rusconi-Clerici to become one of the most prestigious locations on Lake Maggiore in just a few years.